Model analysis within the ADAM project has shown that achieving low greenhouse gas concentration levels, e.g. at 400ppm CO2-eq, is technologically feasible at costs of a few percent of GDP. However, models simplify the dynamics involved in implementing climate policy and the results depend on critical model assumptions such as global participation in climate policy and full availability of current and newly evolving technologies. The design of a low stabilization policy regime in the real world depends on factors that can only be partly covered by models. 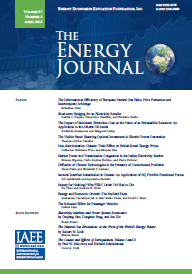 In this context, the paper reflects on limits of the integrated assessment models used to explore climate policy and addresses the issues of (i) how global participation might be achieved, (ii) which kind of options are available to induce deep GHG reductions inside and outside the energy sector, and (iii) which risks and which co-benefits of mitigation options are not assessed by the models.